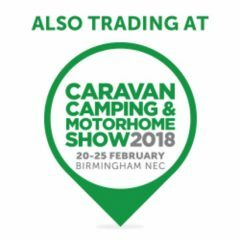 The 2018 Caravan & Motorhome Show at the NEC is now on! 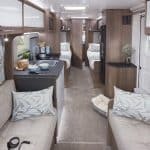 Be one of the first to see all the new and exclusive caravan launches for the 2019 season from all the major suppliers including Swift, Bailey & Lunar. Our sales team will be there, wearing their customary and identifiable green shirts! If you’re visiting the show then please come and say hello. 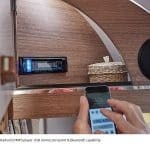 You could always call them on their mobile if you’d prefer to make an appointment so they can spend time showing you the new ranges and of course give you a price. 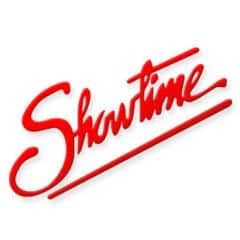 Call Alistair Cruickshanks (Oxford branch) 01844 337833, Simon Barnett-Higgins (Reading branch) 07498 559493 or Lee Matthews (Swindon branch) for more information on anything Bailey at the show. The Bailey offers are also available in branch until Sunday 21st October so please call Paul Hopkins (Swindon), Alan Conley (Oxford) or Jason Compagno (Reading) who are working at their respective branches. FREE Powrtouch Evolution manual engage motor mover worth £1195 for twin axle models. Call Andy Parker (Swindon branch) 07792 377761 or Tina Murray (Swindon branch) 07563 476652 who are at the show on the Swift stand and available to discuss the following offers. The Swift offers are also available in branch until Sunday 21st October so please call Paul Hopkins (Swindon), Alan Conley (Oxford) or Jason Compagno (Reading) who are working at their respective branches. An exclusive finance rate of 5.9% APR (hire purchase only, max loan £15k over 60 months). An Alko Secure Wheel Lock for £180. Truma Air Conditioning unit for £780 (excludes dealer fit charge). Half price insurance offer in year 1 in association with Caravan Guard. Call Steve Watts (Swindon branch) 01793 773026, Simon Clark (Reading branch) 07444 019069 or Lewis Sirett (Oxford branch) 01844 337835 to discuss availability and the show deals on Lunar. The Lunar offers are also available in branch until Sunday 21st October so please call Paul Hopkins (Swindon), Alan Conley (Oxford) or Jason Compagno (Reading) who are working at their respective branches. 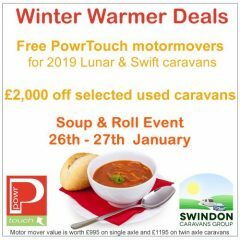 Lunar are currently offering a FREE Powrtouch Evolution motor mover worth £995 (single axle) or £1195 (twin axle) if you order a new 2019 caravan before Sunday 21st October. We’ve decided to extend our offers from our Easter Show due to the adverse weather conditions that were experienced last weekend. 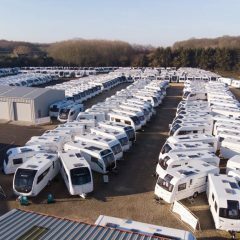 Our ‘Flash demonstrator Sale’ on some of our 2018 caravans will now end on Sunday 25th March. 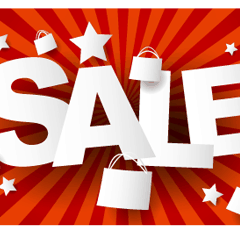 There are some unbelievable deals available but as it is a demo sale then please be aware that there is limited availability. Our 2018 Lunar Range. 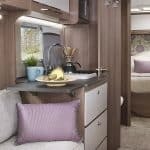 Already the best priced Lunar caravans in the UK, you can now save a further £400 if you purchase before the 25th March! Our 2018 Bailey Range. 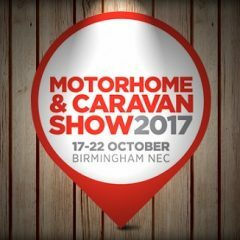 No movement on the price (they are already low) but if you buy now you will receive a FREE Powrtouch caravan motor mover. 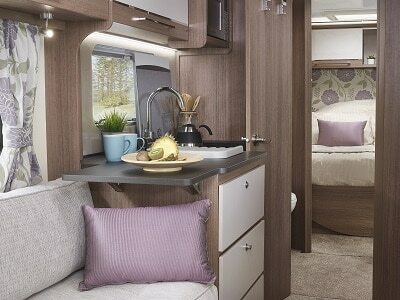 Our Used Caravans. 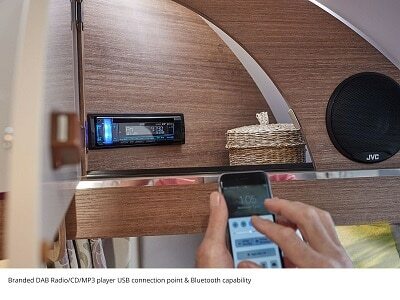 Buy a used caravan (over £5,000) and you’ll receive either £500 vouchers or a free accessory pack. 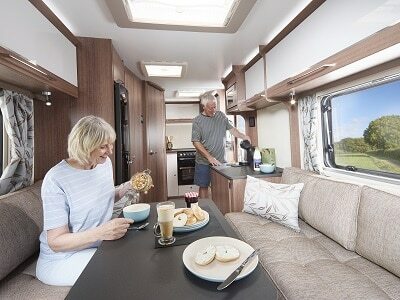 There are plenty of reasons to visit any of our 3 award winning branches to purchase the caravan of your choice. If you have any questions on any of the offers then please don’t hesitate to contact our sales teams. 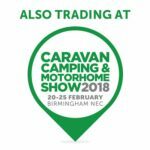 The Caravan, Camping & Motorhome Show starts on Tuesday 20th February and we’ll be there! 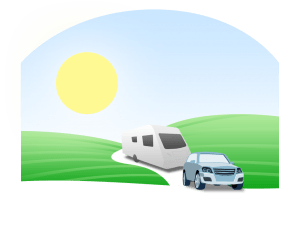 Showcasing all the latest 2018 caravans that the industry has to offer, there are some fantastic deals available. Come and visit our salesmen at the show for more information and our best price. And don’t forget that if you are unable to attend then just pop into one of our branches in Swindon, Oxford or Reading and we’ll be able to match any show deal that is being offered. 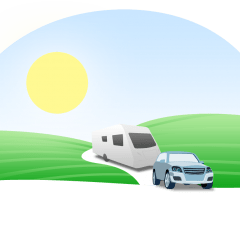 2018 Swift Caravan – Receive a FREE Evolution manual engage single (RRP £995) or twin axle caravan mover (RRP £1195) when you purchase any 2018 Swift Caravan. 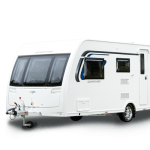 2018 Bailey Caravan – Order a 2018 Unicorn or Pegasus and receive a FREE Powrtouch Classic motor mover on all single axle models (RRP £799) or a FREE Powrtouch Evolution manual engage motor mover on all twin axle models (RRP £1195). Receive a FREE Nemesis wheel lock (RRP £130) if you order a 2018 Bailey Pursuit. 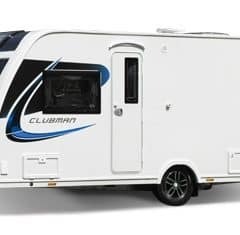 2018 Lunar Caravan – Order a 2018 Lunar Delta/Clubman/Lexon/Stellar/Ariva/Quasar and receive a FREE Powrtouch Classic motor mover on all single axle models (RRP £799) or a FREE Powrtouch Evolution manual engage motor mover on all twin axle models (RRP £1195). 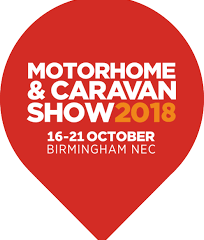 The caravan show at the NEC starts on Tuesday 17th October, which will showcase all of the new touring caravans available in 2018. Our salesmen will be on the Bailey, Swift and Lunar stands in their green shirts, it will be hard to miss them! And as many of you also know, this is a time when some of the best deals are available on the new ranges – and they are available NOW in branch and at the NEC ! The Swindon Caravans Group already offers some incredible savings of up to £3,629 across our range of 2018 Lunar caravans. 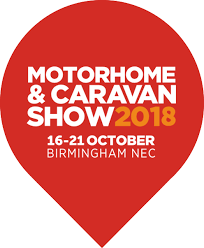 What’s more, now receive a FREE Powrtouch motor mover on any 2018 Lunar when you buy at the show or in branch before Sunday 22nd October! 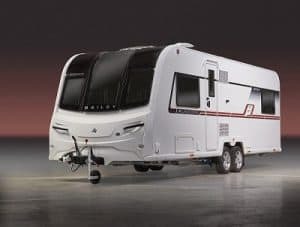 Single axle models from the Ariva, Quasar, Stellar, Lexon & Clubman ranges will qualify for a Powrtouch Classic (manual engagement) motor mover whilst all twin axle models from the Quasar, Lexon & Delta ranges will qualify for the Powrtouch Evolution 2 Wheel Drive (manual engagement) motor mover. Both motor movers come fully fitted and include a 5 year parts and labour guarantee. Call our sales teams now for more information (Swindon 01793772096, Oxford 01844339566 or Reading 01189888111). Save up to £1192! Buy a Swift Vogue between Saturday 14th October and Sunday 22nd October and you will receive a further £545 off our already discounted price. In addition to this, you will also receive a FREE Al-Ko wheel lock worth £276 (single axle) or £552 (twin axle) and a FREE 1st year’s Command tracker subscription worth £95. Call our sales teams now for more information (Swindon 01793772096, Oxford 01844339566 or Reading 01189888111). The same offer as outlined on the Swift Vogue will also be available on all standard product from the Sprite, Eccles, Challenger & Conqueror ranges form Saturday 14th October. 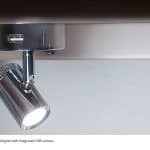 The Elegance is slightly different; there will be an offer of a FREE TowPro cover from Specialised Covers worth £199 instead of the offer of the Al-Ko wheel locks on the other ranges, taking the total saving across the Elegance range to £839! Come and see the new 2018 Lunar range at any of our 3 branches in Swindon, Oxford & Reading at our preview weekend on Saturday 7th & Sunday 8th October. Fast tracked order for best availability – stay ahead by ordering before the NEC. We’ll have some great deals available. You’ll never pay RRP! Call our sales teams for more details and enjoy savings of up to £3,629 across the range! 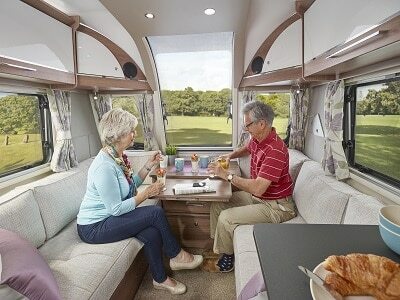 Honest advice on helping you choose the right caravan to suit your requirements. Free food and refreshments whilst you browse. If you are interested in a particular model then please call the respective branch to avoid disappointment. A covering of models from all the ranges have already landed on our forecourts! Fast tracked order for best availability. A great price. You’ll never pay RRP! We’ll have free refreshments available whilst you browse. If you are interested in a particular model then please call the respective branch to avoid disappointment. The first of the Bailey Unicorns have already landed on our forecourts! Should you be interested in any other 2018 models from Bailey, Lunar or Swift then please register your interest and we’ll contact you as soon as the model you are interested in arrives at the branch of your choice to make an appointment for you to come and view. In the meantime, here are some photos of the 2018 Unicorn to whet your appetite. We look forward to seeing you soon. Come and join us on Saturday 17th & Sunday 18th June for our 2017 Summer Show weekend at Swindon, Oxford & Reading Caravans. 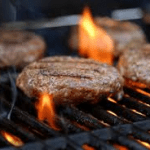 Come along with friends & family, enjoy a free BBQ and refreshments and browse our new & used touring caravans on display. 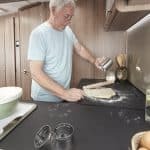 We have some fantastic offers across all our caravans as well as caravan awnings and accessories. Enjoy savings of up to £3329 across our range of 2017 caravans. We’re running low on a number of models now so please call for earliest availability. All the top brands – Lunar, Bailey, Swift, Sterling & Sprite – at great prices whilst not forgetting our dealer special, the Swift Vogue which has been a resounding success this year. Receive a FREE Rapid Air 220 or 260 awning worth £349 when you purchase any used caravan during the show weekend (whilst stocks last). 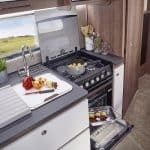 Savings of up to £2,000 across our superb range of used caravans on display. Over 150 used caravans in group stock, search for 2/3 Berth, 4 Berth, 5 Berth & 6 Berth used caravans. All with a minimum 12 month warranty, full valet & live handover on collection. 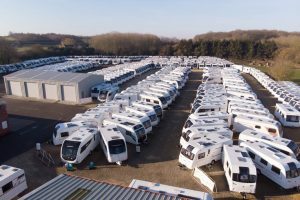 One of the largest selections of caravans in the South with over 300 caravans available to view across the group. 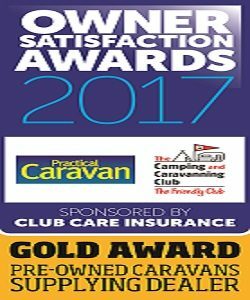 Outstanding Customer Service (Winner of best supplying dealer of used caravans in the country 2017). We hope you’ll be able to join us at Swindon, Oxford and Reading Caravans for our Easter Show between Thursday 16th – Sunday 19th March. This is traditionally our curtain raiser to the new season as we build up towards Easter. We’ll have some free food and refreshments available at each branch so dig in and help yourself! We operate 3 award winning dealerships, offering outstanding customer service and expert advice. 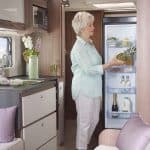 Save up to £2,000 on a 2017 Bailey Caravan. 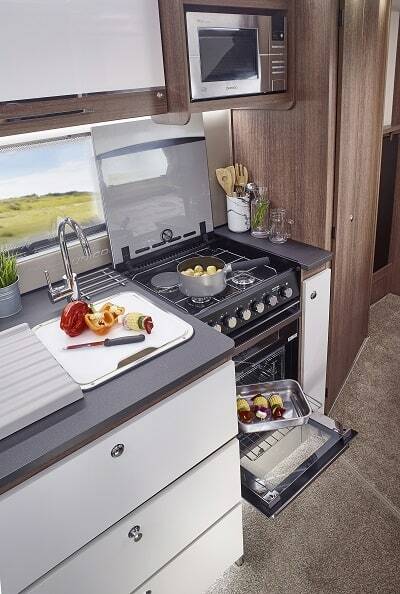 Save up to £3,529 on a 2017 Lunar Caravan. 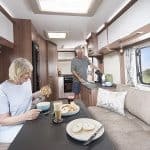 Save up to £4,236 on a 2017 Swift Caravan. 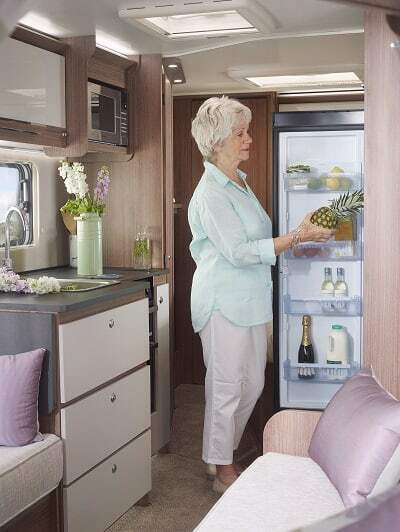 Save up to £4,586 on a 2017 Sterling Caravan. 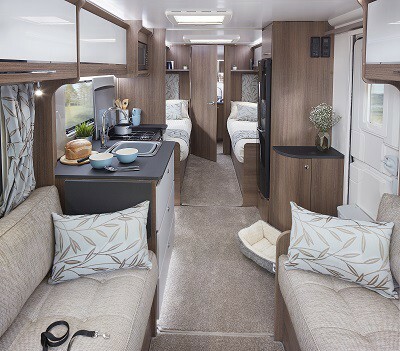 Our Special Edition Swift Vogue has been a resounding success and availability is now running low so you’ll need to move fast if this is the caravan for you. 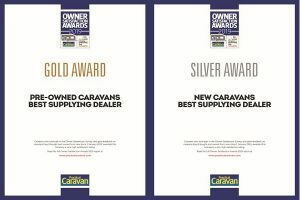 As recent winners for best supplying dealer of used caravans in the UK at the Owner Satisfaction Awards, we’ll have a great range of pre-owned caravans to view at all 3 branches. 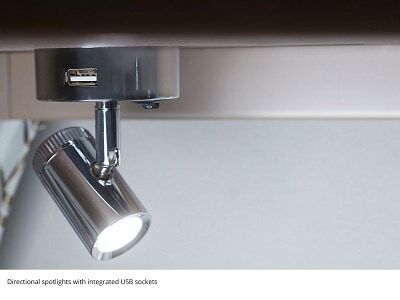 And remember we still offer £500 vouchers or a free accessory kit with every used caravan purchased over £5,000.